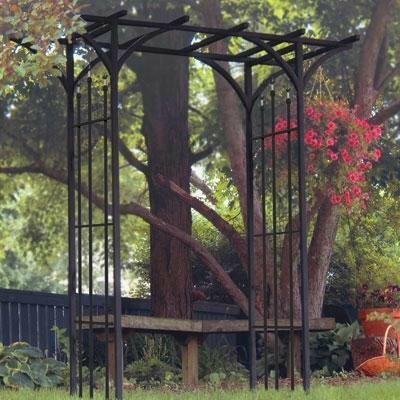 Garden arbors are powder coated to prevent the onset of the wonderful aged look. Provide an adequate first step for climbing plants. Available in black color. Steel construction and rust resistant. Measures 26-inch deep by 76-inch wide by 84-inch high.